Many times I hear from patients “I’m doing everything right but still can’t lose weight”. Under normal physiological conditions, the body has no trouble giving up fat. If this not the case, we must dig deeper. First let’s look at blood sugar. Imbalance of blood sugar weather it’s insulin resistance (chronically elevated blood sugar levels), or hypoglycemia (blood sugar fluctuations (sometimes have, sometimes low); both result in elevated insulin levels. 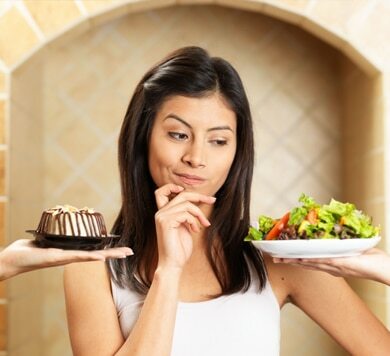 Insulin resistance is when glucose can no longer effectively enter into the cell. Because blood sugar is not entering the cells, it stays in general circulation rather than being stored. The body then produces higher levels of insulin to remove the glucose from the blood stream which causes greater metabolic dysfunction. Hypoglycemics will have periods of low blood sugar and therefore surges of insulin, rather than chronically elevated levels. During periods of low blood sugar, adrenaline is often used to elevate blood sugar, causing a sharp rise in glucose and insulin. Second fat loss barrier can be the Adrenal System. The adrenal glands are your body’s primary defense for managing stress. When the adrenal glands are activated, they produce a number of hormones that help the body deal with both acute and chronic stressors. One hormone is cortisol. Cortisols primary function is to increase blood sugar levels so your brain, muscles and organs have enough fuel to get you through a stressful situation. Problems occur when stress becomes chronic. Chronically elevated levels of cortisol will increase blood sugar levels, which then elevate insulin levels. This will stop you from burning fat, no matter what exercise or diet program you follow. There are many chronic stressors in today’s society including mental/emotional stress, food sensitivities, blood sugar imbalances, infections (parasitic, bacterial) and excessive exercise. Most effective way of assessing adrenal gland dysfunction is the “Adrenal Salivary Test”. This test uses 4 saliva samples throughout the day assessing levels of salivary cortisol and DHEA. Most functional medicine holistic practitioners will run this test. The cells of our bodies produce ATP (adenosine triphosphate). ATP is the basic energy source for the body allowing cells to function. Without it nothing works correctly- including losing weight. In conventional medicine a decreased ability to deliver oxygen to cells in called anemia, a condition referring to quantitative and qualitative deficiency in red blood cells ability to deliver oxygen to the tissues and organs in the body. While a full discussion on anemia is too extensive to cover here, a start would be getting your doctor to run standard blood work, which should include RBC, hemoglobin, hematocrit, MCV, MCH, MCHC, iron, ferritin and transferrin.